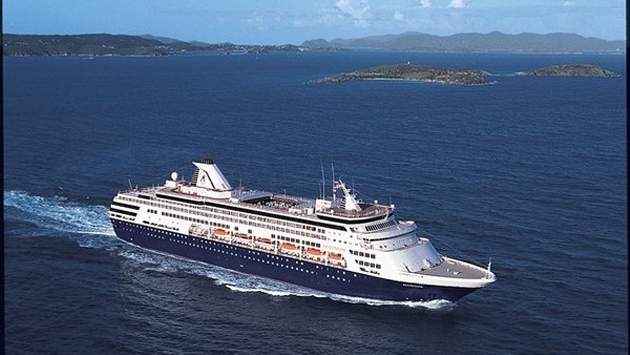 Editor’s note: The following comes from a Holland America Line press release. For the third consecutive year, Holland America Line, together with sister line Seabourn, was named among the World’s Most Ethical Companies by Ethisphere Institute, a leading business ethics think-tank. The company secured its spot on the list by implementing and maintaining business practices and initiatives that are instrumental to company success and benefit the community. Named in the Leisure and Hospitality category, Holland America Line/Seabourn is one of 144 total honorees representing 41 industries from around the world. Vice President, General Counsel and Chief Ethics Officer Kelly Clark and Emmely Kik, Manager, Ethics and Compliance, accepted the 2014 World’s Most Ethical Companies award at an event March 20 in New York City. In selecting World’s Most Ethical Company winners, Ethisphere Institute reviews a candidate’s code of ethics, litigation and regulatory infraction history; evaluates the investment in innovation and sustainable business practices; looks at activities designed to improve corporate citizenship; and studies nominations from senior executives, industry peers, suppliers and customers. This is the eighth year Ethisphere has published the World’s Most Ethical Company rankings. Ethisphere reviewed hundreds of companies and evaluated a record number of applications utilizing its proprietary methodology through in-depth research and multistep analysis, naming the companies that surpassed their industry peers to this year's World's Most Ethical Companies list. The 2014 list features companies in more than three dozen industries, including several headquartered outside of the United States. Read about the methodology and view the complete list of the 2014 World’s Most Ethical Companies at http://ethisphere.com/worlds-most-ethical/wme-honorees. Ethisphere, a provider of independent verification of corporate ethics and compliance programs, awards Ethics Inside Certification exclusively to companies that implement adequate standards, systems and programs to reasonably prevent compliance failures and ethical breakdowns, and can demonstrate the existence of a superior employee and leadership culture that promotes ethical business practices. For information about Holland America Line, visit www.hollandamerica.com, contact a travel professional, or call 1-877-SAIL-HAL (1-877-724-5425). For more information on Seabourn's award-winning cruise vacations, contact a travel agent, call Seabourn at 1-800-929-9391 or visit www.seabourn.com.